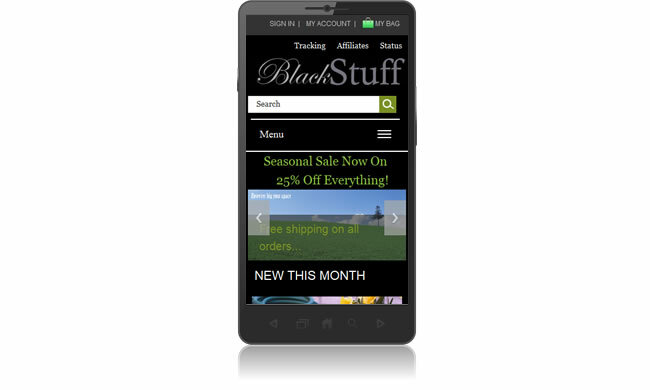 This WordPress theme is called ECT WP Black Stuff and comes with the integrated Ecommerce Templates shopping cart software. It adapts to the size, resolution and orientation of the viewer's screen, meaning it looks great on a desktop computer, laptop, tablet and smartphone. The download provides everything you need to set up your online store, including the backend control panel for product, shipping, tax etc. administration. The theme comes in nine different color combinations, fixed or fluid header and footer, dark or light backgrounds and a choice between a right and left hand sidebar, all of which are editable. There is also a logo upload and exclusive ECT Store widgets for the sidebar and CSS minicart, minilogin and newsletter sign up. You will need a host that offers mySQL database support and we do have some suggestions here. The software integrates with over 40 of the top payment processing companies, the full list is available here. Click on the tabs above to view the specifications, related services and real life testimonials from some of our customers. Choice of 9 different colors or use your own.